The U13s put in a good showing in the Hambleton Lg in the dusty heat of Madras Northallerton but fell a tantalising 10 runs short. 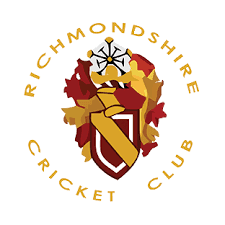 Richmond did well with the ball, restricting Northallerton to a chaseable 83. All 9 bowlers did their bit, with James contributing a wicket, but the standout figures went to Cameron: 3-1-3-2. A couple of dropped catches contributed to only 3 wickets taken. A couple of careless runouts in the top order cost Richmond dearly in their chase. But Will Sharp and Gabriel looked to be steering Richmond towards victory before Will fell to a sharp catch off a decent shot for 9, and Gabriel couldn't resist a swat at a straight one to be bowled for 11. A useful late contribution of 8 unbeaten from Owen threatened to take the game close, but we fell short by 10. A good workout though with all players batting and bowling. Also an opportunity for players and spectators alike to top up their tan. Thanks again to John Pinkney for scoring - much appreciated. If anyone else would like to learn this vital technique and make yourself a friend of team managers everywhere, please let me know!